This Blue Jay put on this expression when told that more snow was coming this weekend. Thank you! It was 14 F this morning when I got to work…Brrr! Striking colors of blue. What a wonderful photo! Thank you! 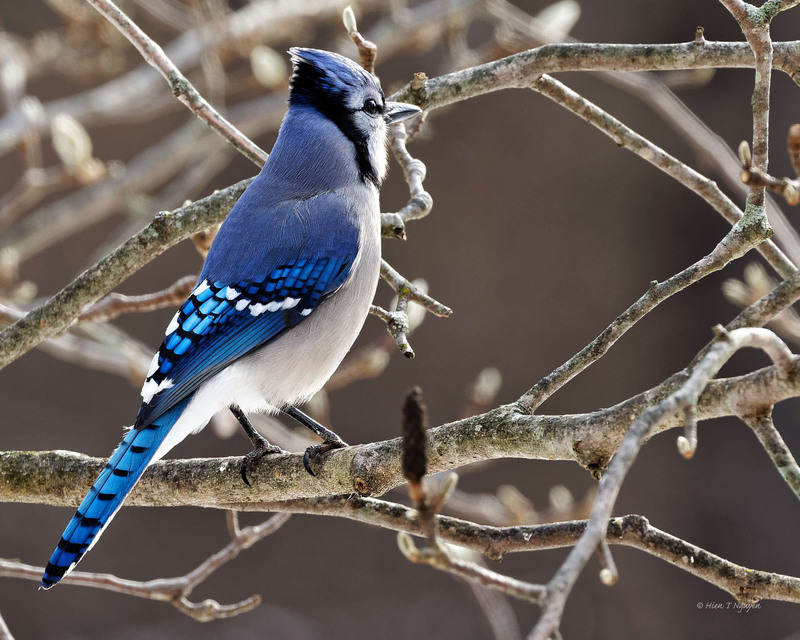 Blue Jays easily stand out from their smaller cousins. A beautiful bird photographed beautifully! What a beautiful bird. ….and…an amazing photo! As long as you keep the feeders stocked, he probably won’t mind too much!